Negotiations over the EU’s next long-term budget will start soon and the reform of the Cohesion Policy is one of its main elements. 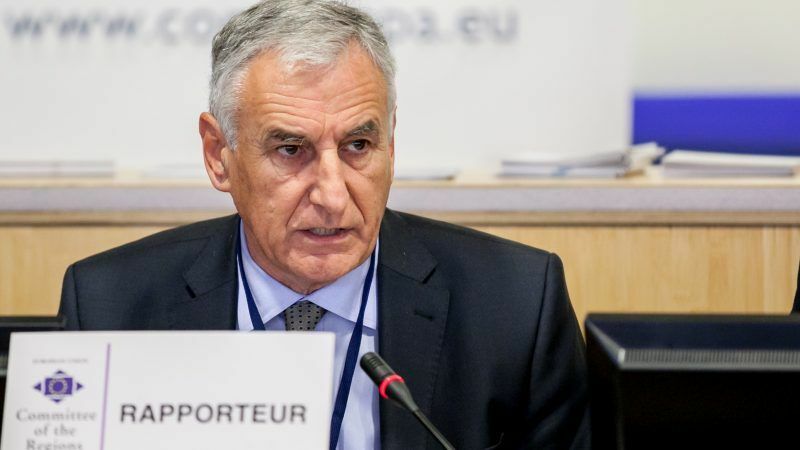 Nikola Dobroslavić (EPP), the European Committee of the Regions’ rapporteur on this matter, analysed the worries cities and regions have about the current proposal in an interview with EURACTIV. Dobroslavić, who is also the prefect of Croatia’s Dubrovnik-Neretva county, provided written replies to EURACTIV’s questions. What do you think will be the impact of the announced cuts for regions? We know that the future budget has to deal with the Brexit financial gap as well as with the need to increase our common action in fields as migration, defence, climate change, digitalisation and youth policies. But the idea of reducing mostly funds that are managed in partnership between Brussels, national government and regions – as Cohesion Policy – can lead to centralising the EU action, which is the opposite of what we need to bring Europe closer to citizens. Cutting Cohesion Policy (-12% for Regional Development and Cohesion, -6% for the European Socia Fund), letting its share fall below 30% of the EU budget for the first time, is of course not in line with regions and cities expectations. However, compared with the initial scenarios of a 15% or 30% reduction that were put forward in the Reflection paper on the Future of EU Finances, these cuts are less severe and allow for covering all EU regions, which was a crucial request by the Committee and the Cohesion Alliance. But cuts to structural funds do not mean cutting on ‘old priorities’ to fund new tasks. They mean reducing projects that are managed in partnership and addressing strategic challenges, ranging from climate change to bringing broadband everywhere, from ***including migrants to boosting innovation and research in small and medium enterprises. There is nothing ‘traditional’ here but the value of EU solidarity. It is all about our future. That is why we are hopeful of reducing the proposed cuts in the forthcoming negotiations by partnering with the European Parliament and national governments in the member states. What does it mean for regions the increase of the co-financing rate, especially for the member states that are heavily relying on structural funds? A higher rate of co-financing can become a major obstacle slowing down the implementation of the cohesion policy, that is the most powerful investment tool of the EU. Some countries might be forced to borrow money from banks or the EIB in order to meet the co-financing requirements, which might lead to an increase in their public debt; others will encounter serious problems with the expenditure ceilings foreseen by the Stability and Growth Pact. In both cases, we could have the paradox where a government – or a region – has to choose between losing resources because of automatic de-commitment and risking sanctions. The next EU budget should instead address the persisting low level of public investment and offer bold and smart policies to support public and private investors. After the abolishment of INTERREG EUROPE, the Commission committed to streamlining cooperation between regions in cohesion policy. Do you think this can work? The added value of cross-border territorial cooperation is undisputable. The deletion of INTERREG EUROPE is therefore a blow for many local and regional authorities and, together with the envisaged cut of territorial cooperation of approximately 12%, these cannot be accepted. We share the Commission’s commitment to streamline and simplify rules and procedures. But we will assess the proposals keeping in mind the need to preserve and strengthen the strategic function of territorial cooperation both in terms of funds and rules. Member states will have the possibility to transfer part of the cohesion funds to the Invest EU fund, as long as the selected projects will fall under the cohesion policy priorities, do you think such a transfer will serve the purpose and the aims of Cohesion? The European Committee of the Regions has fully supported the launch of the European Fund for Strategic Investment over the past years, backing its specific function of making high-risk profile projects attractive for private investors. The InvestEU initiative must be the opportunity to strive for a geographical balance of projects, radically simplify the use of financial instruments and avoid duplications as observed in the current EU budget. Of course, there are cases where financial instruments can integrate the use of grants and help develop strategic projects. But it must be very clear that they play a different role and one cannot replace the other. Furthermore, while cohesion policy mostly relies on multilevel governance and the participation of local actors, InvestEU is mostly a centralised tool. In this perspective, flexibility in transferring funds from one policy to another cannot lead to centralising growth strategies, cutting off cities and regions.